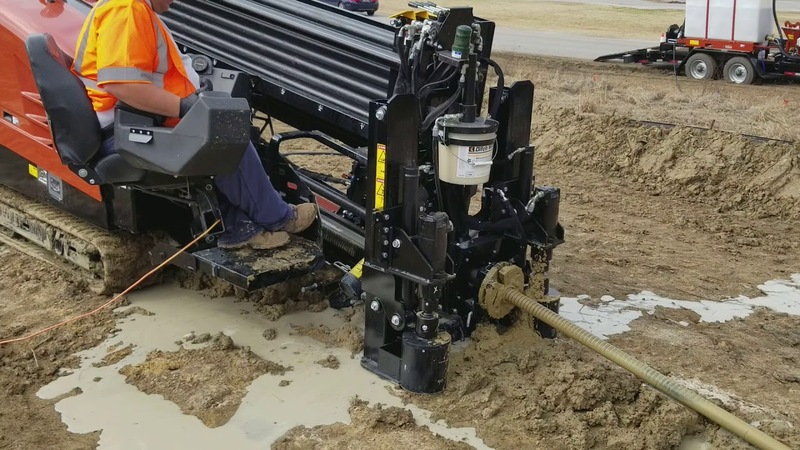 The JT20XP horizontal directional drill (HDD) package pairs the HDD with an XP44 mixing system. The two units fit onto a single trailer for ease of transport. When operated with the mixing system, the JT20XP is able to apply full onboard horsepower for thrust and pipe rotation. It has a 74.5-horsepower Tier 4 Deutz diesel engine, and delivers 14 percent increased spindle torque over its predecessor. The XP44 mixing system is equipped with a dedicated 44-horsepower Tier 4 Yanmar diesel engine. A newly designed operator’s station features an ergonomic seat, LCD display and superior visibility. Spindle torque, max: 2,500 lb.-ft.